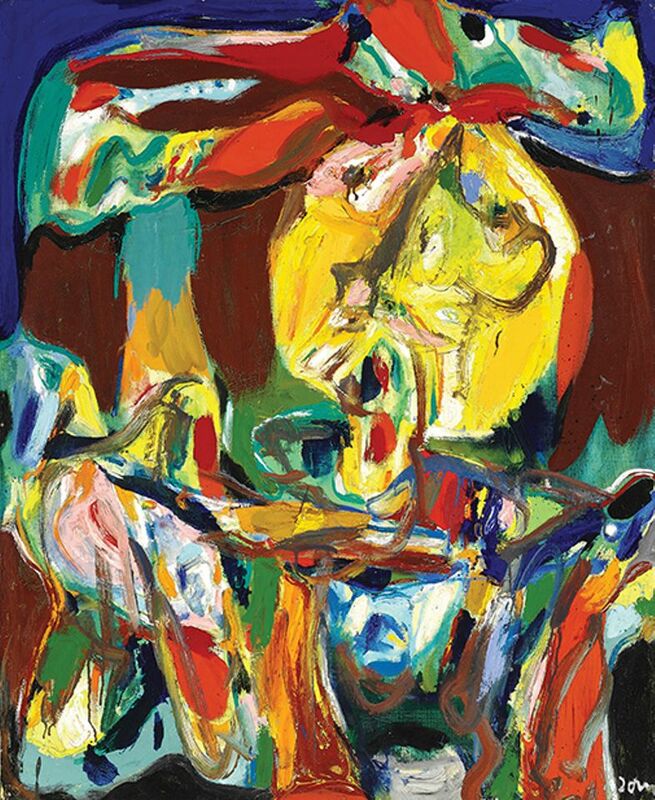 Asger Jorn, Sermo rusticus (1969)- 70th Anniversary Auction, Bruun Rasmussen, Copenhagen, 4 December. 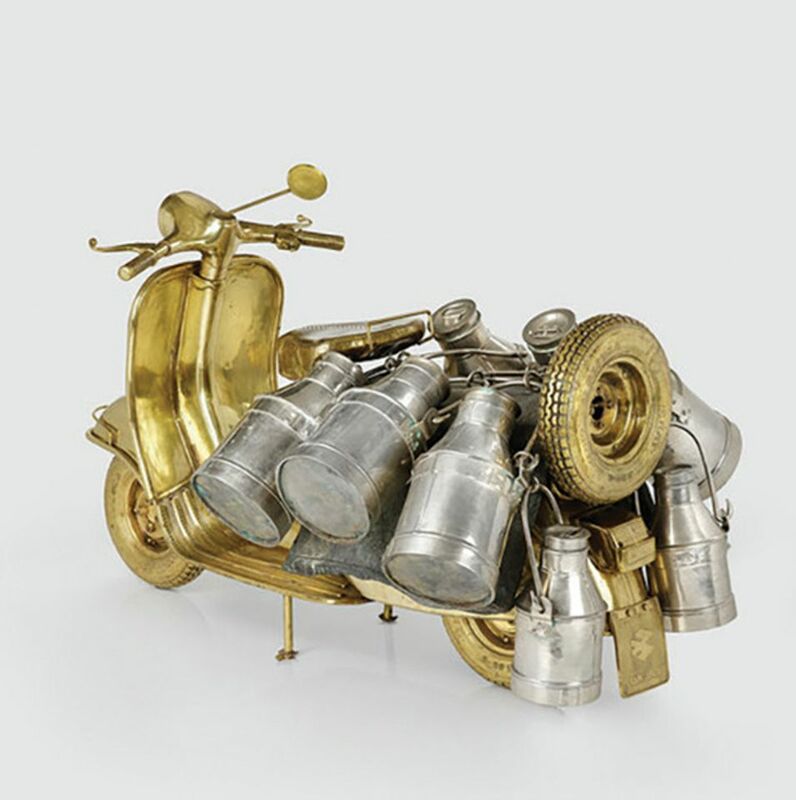 Estimate Kr1.8m-Kr2m (€240,000-€270,000): The Danish auction house Bruun Rasmussen and the Modern art movement CoBrA are marking their 70th anniversaries this year. CoBrA takes its name from the three cities in which it was founded (Copenhagen, Brussels and Amsterdam); its members pursued a childlike style, often populating their Expressionist paintings with impish beasts and animals. Bruun Rasmussen’s seven-day anniversary sale includes two days devoted to CoBrA works, including this oil on canvas by Danish founder member Asger Jorn (1914-73). Jorn studied at Fernand Léger’s academy in Paris in the late 1930s and travelled widely. A true polymath, he worked in a range of media—notably ceramics in the 1950s, but also book illustration, tapestry, collage and murals—but he concentrated on oil painting from 1966, while also travelling widely, from Asia to Cuba. Hilary Knight, Original Plaza Hotel portrait of Eloise (1956)- Fine Books and Manuscripts Sale, Bonhams, New York, 5 December. 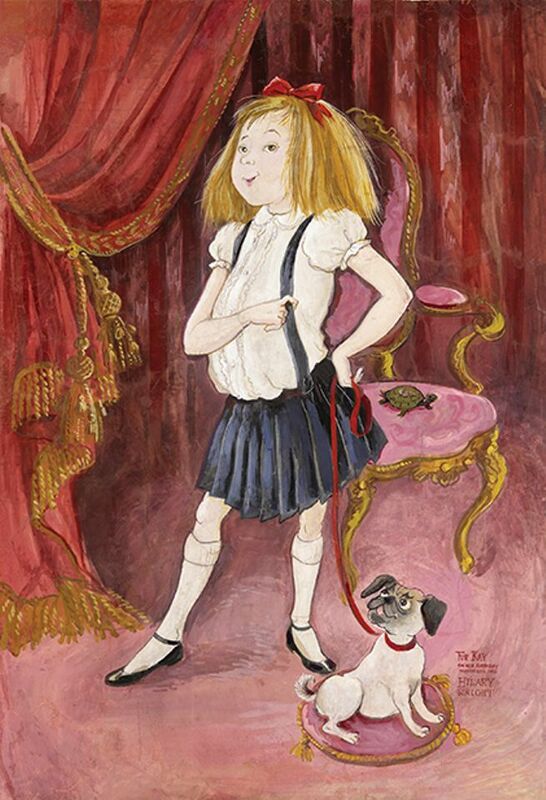 Estimate $100,000-$150,000: Eloise, an adventurous girl who lives on the “tippy-top” floor of New York’s Plaza Hotel in Kay Thompson’s children’s books of the same name, came alive through Hilary Knight’s illustrations; his portrait of Eloise was created for Thompson as a gift. The work, however, has had a life as mischievous as Eloise herself. After hanging in the Plaza’s hallway for three years, it was stolen in 1960. Knight got an anonymous tip that led him to the drawing, abandoned in a skip two years later. The missing work had by then been replaced with a copy, so Knight rolled the original up in his closet. It was recently restored to be the centrepiece of the New-York Historical Society’s Eloise exhibition last year. 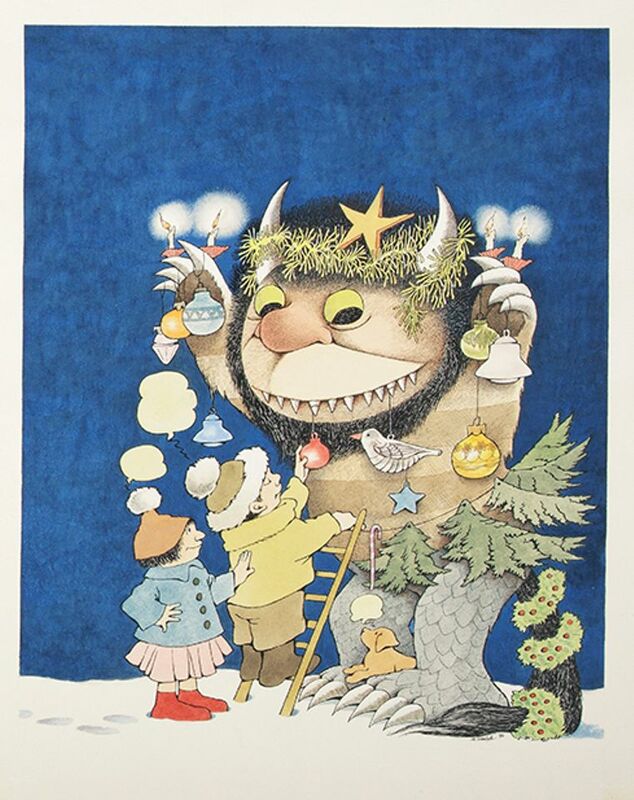 Maurice Sendak, A Wild Thing Christmas (1976)- Fine Printed Books and Manuscripts including Americana, Christie’s, New York, 4 December. Estimate $300,000-$400,000: Inspired by the author’s childhood in Brooklyn, Maurice Sendak’s much-loved children’s book Where the Wild Things Are charts the adventures of a young boy called Max as one night he finds himself in a mystical world of monsters (the Wild Things) after being sent to bed with no supper. Since its publication in 1963, it has sold tens of millions of copies and been adapted for stage and screen numerous times. The US author and illustrator did this festive watercolour for the cover of Rolling Stone in December 1976—the issue featured an article likening Sendak to William Blake, Franz Kafka and Sigmund Freud. The watercolour depicts Moishe, a “Wild Thing” who was tamed by the spirit of Christmas. The original work is offered with a copy of the magazine and is expected to shatter Sendak’s previous auction record, set at Freeman’s Philadelphia last year when a smaller, gouache illustration made for Unesco, called Reading is Fun! (1979), realised $62,500 (est $40,000-$60,000). 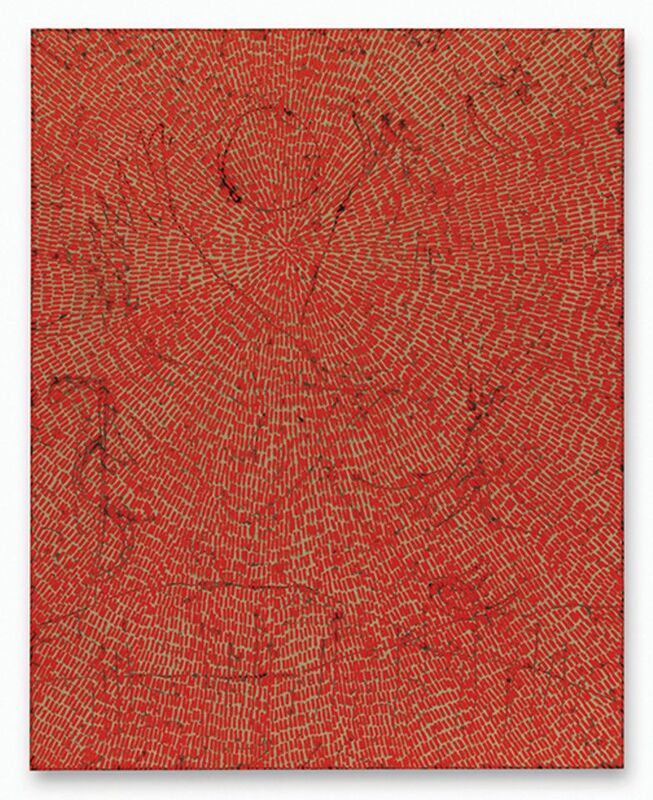 Jennifer Guidi, Energy of Love (Painted Universe Mandala SF #4F, Red, Natural Ground, 2018)- (Red) Auction, Sotheby’s, Miami, 5 December. Estimate $120,000-$150,000: Sotheby’s third charity auction to benefit the fight against AIDS features this work by the Los Angeles-based painter Jennifer Guidi, who has enjoyed a meteoric rise in the market over the past decade. According to Oliver Barker, the chairman of Sotheby’s Europe: “Of the four works by Guidi that have been offered at international houses to date, each has far-exceeded expectations.” Earlier this year, Sotheby’s London made the artist’s record with a similar but smaller work made in 2016 which realised £274,000 (est £150,000-£200,000).